Have a look at this write up that was recently on the E-list. 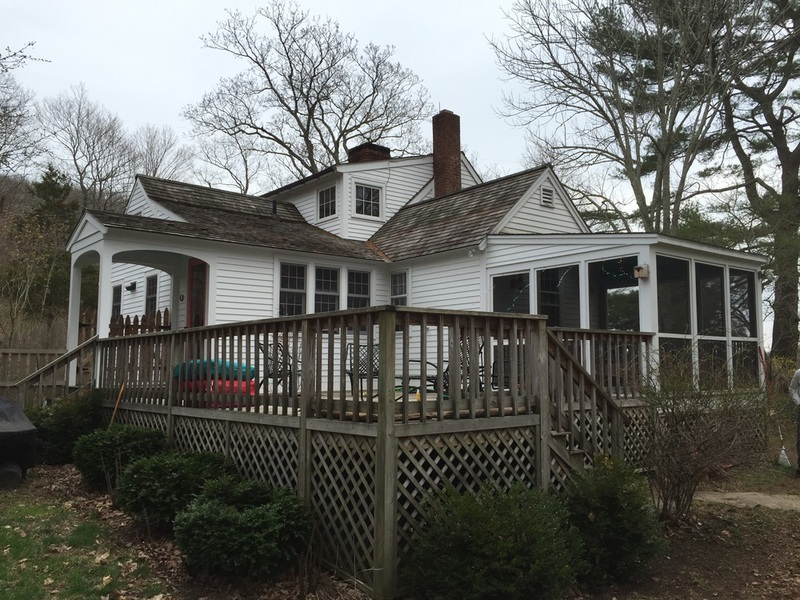 It is about a Kitchen that we renovated on Joshuatown road in Lyme. It was a challenging project mostly due to its small size. It was like a puzzle fitting everything into place. The final results are quite nice though. Follow the link for a full write up. Photo courtesy of the e-list.com. 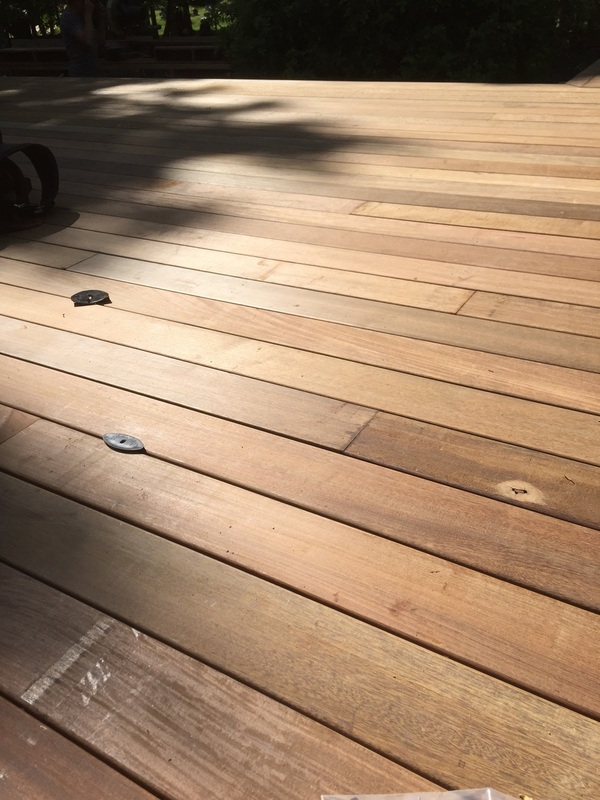 This is birds eye view of our recently completed deck. Sometimes it's hard to see just how far a project has come until it's compared to a photo of the original. 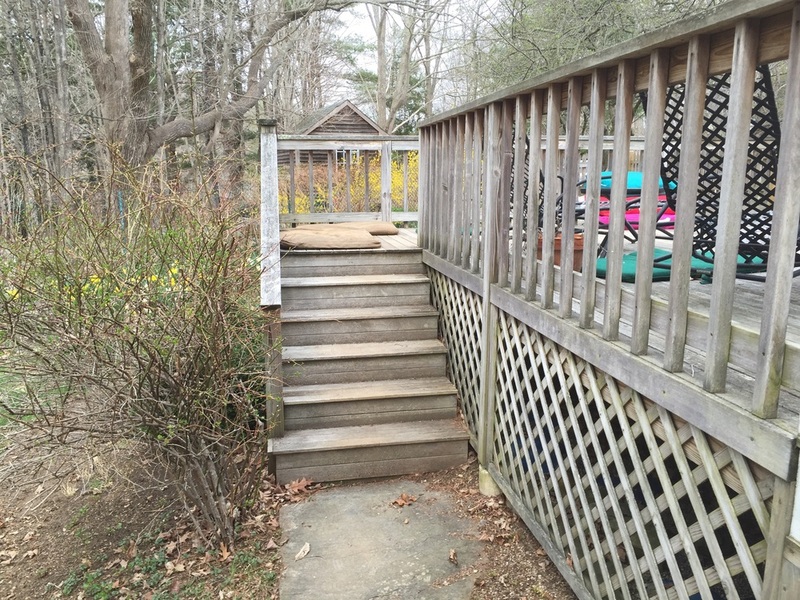 Here are some before and after shots of the deck project we just completed. We have made a strong commitment to the earth over the last several years by teaming up with 1% For the Planet. With this program we have donated 1% of sales to The Lyme Land Trust. This has helped to fund the Tour de Lyme three years in a row which raises further funds for the Trust. This commitment will help keep the area we live in beautiful for generations to come. We are also educating ourselves about the most current building technologies. Erik is currently taking a Net Zero Energy course to become certified. This allows us to build houses that produce as much if not more energy than they use. Both of these methods will help to keep the Earth in business and alow us to continue to build great things. Happy Earth Day 2015! This is the John Randall House in North Stonington, CT. Better known as Randall's Ordinary It was added to the National Register of Historic places in 1978. Originally built in 1685 it has been around through many important events in human history. It was most recently used as a restaurant and inn, but closed its doors many years ago. Maintenance lapsed leaving it exposed to time and the elements. With the new owner and the guide of the National Registry of Historic places we have been given the task of "mothballing" the house. Many measures are being taken to prevent further decay until the new owner gets a chance to appropriately restore the building. We have cleaned the inside, will be giving it a temporary asphalt roof (currently the rain comes right in), and have boarded all windows securely. With the owners vision and some hard work Randalls will return to its former glory. There are many tools that help to make our lives easier, but on the top of the list has to be the track saw. 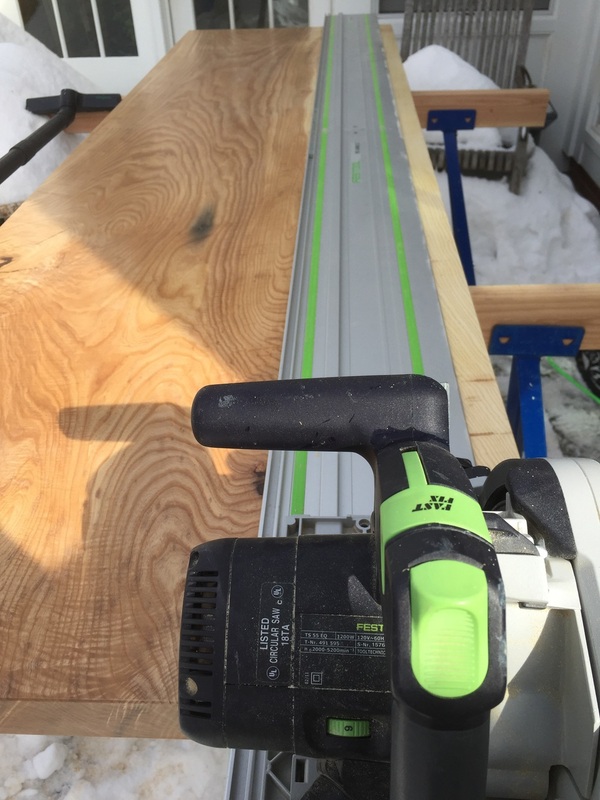 This saw made by Festool can be used to cut a perfectly straight line in almost anything. It takes the woodshop to the field. Coupled with a Festool vacuum there is very little dust made in the process. It is pictured here about to make a cut of this Ash slab. We took a boring flat ceiling in a 1780's house and added a bit of texture and interest to it. With exposed joists fitted to match other rooms in the house it looks as if it has been there the whole time. 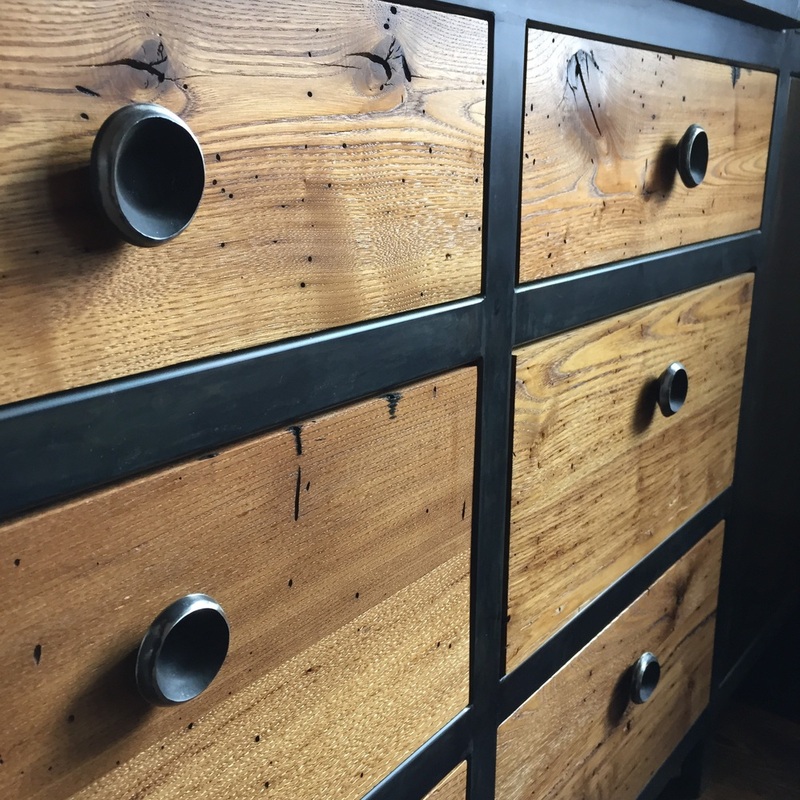 These knobs are made by a local artisan of stainless steel and blackened with oil. They match perfectly with this extremely custom kitchen. We recently installed this standing seam roof on the lower pitch of this guest house in Lyme. The wood on the low pitch was rotten and leaking. This thick gauge galvanized steel roof will be around for many decades to come, and looks very nice against the black structure. 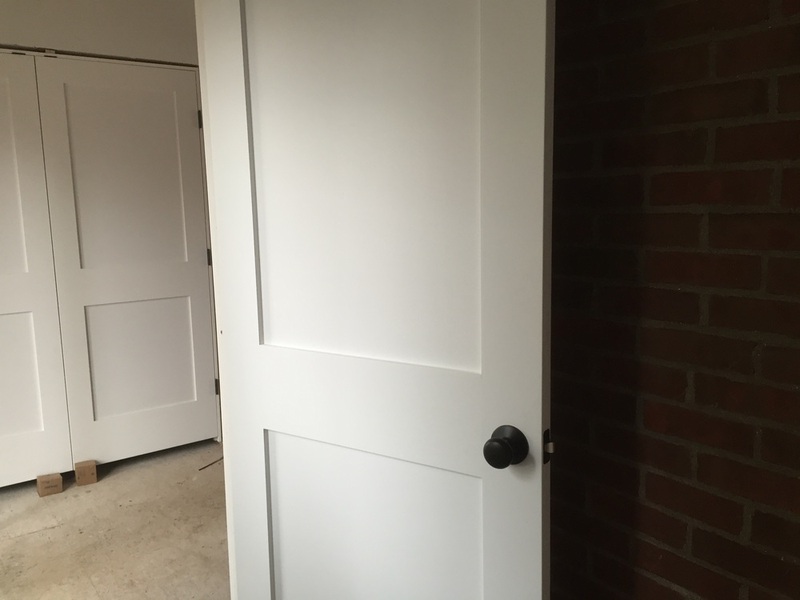 This is a recent addition to the home with the rustic kitchen we built last winter. This entry floor is complete with a schluter floor heat system. The mass of the soapstone holds the heat and keeps your feet nice and warm. Sometimes happiness is a good hammer and a handful of nails. We got to swing these plenty recently as we installed this beautiful reclaimed flooring in Lyme. The homeowner was given these tiles by a friend. They are 1-1/4" thick and each one differs slightly in shape and color. 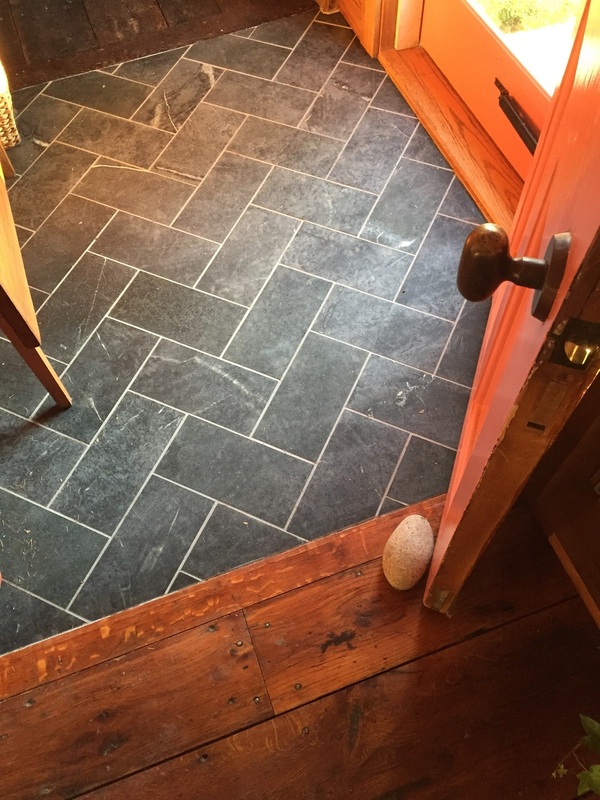 They are very rugged and make for a great entry floor. Now they just need some grout. This oak floor has been reclaimed from barns and houses around CT. It has so much character. 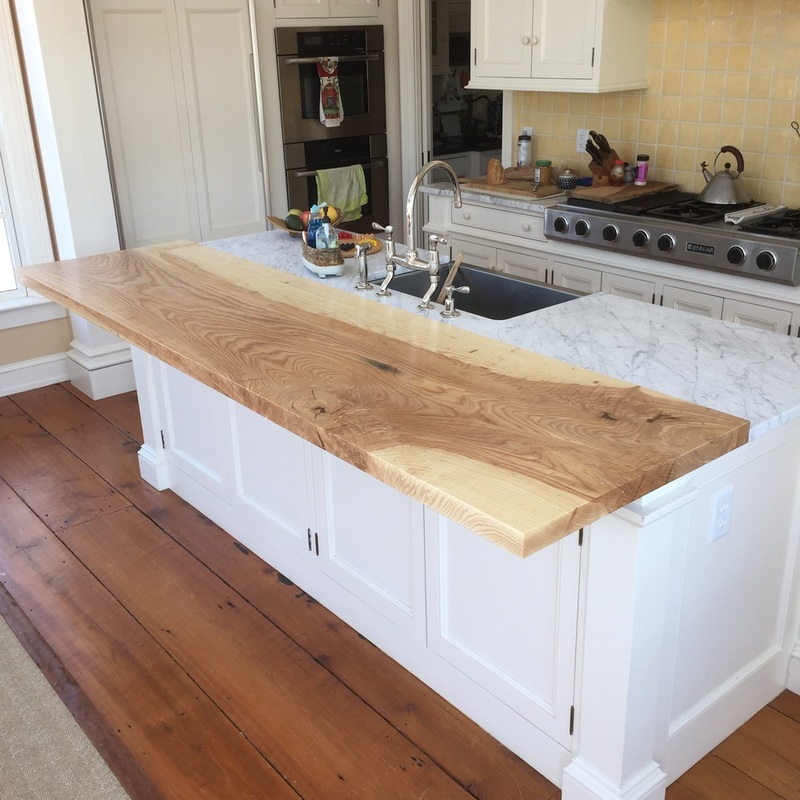 It will receive a light sanding to retain the character, but leaves the option to sand it down to bare wood in the future.